Been ages since I've used a series other than road testing customer cars, but as I had to break the 110 I keep in Africa and as Defender prices have gone through the roof there, I thought I'd try my hand at a spot of retro overlanding and picked up a nice S2a 109 safari station wagon as a temporary stopgap - sight unseen, and had it delivered to a mates. Apart from a couple of offensive additions (laminate floorboard dash, quickly ripped out & brown velvet Toyota cressida front seats) I hit lucky and it's remarkably original with barely a dent and almost no rust. 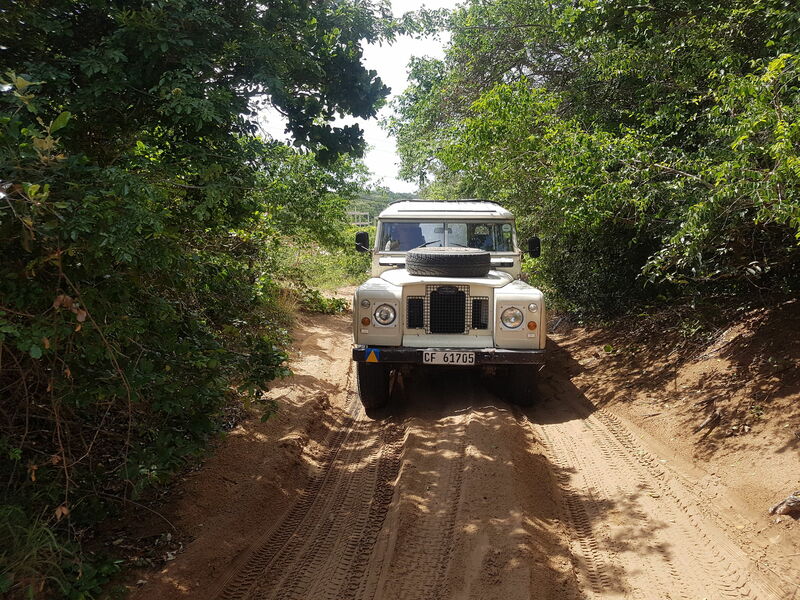 New rad, water pump, engine tune up and an oil change later and ran it up to Mozambique waiting for the first round of spanner time.... which never came! Absolutely love the 2.6 six cylinder engine - torque not far off a tdi, silky smooth and got over 22mpg overall - not bad for a 50s engine and 80p/litre for petrol it doesn't matter too much. Compared to the old 2.25 petrol or diesel it was a pleasure to drive - no slowing down on hills! Great through soft sand as well, at one point I helped tow a speedboat through very deep coastal sand tracks, passing a brand new Range Rover that was bogged to the floorpan. 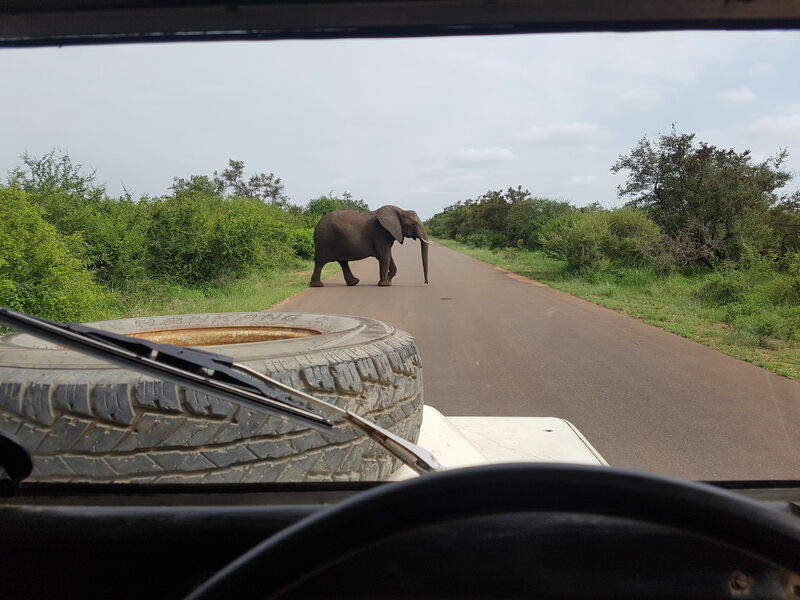 Well after making it to Moz without a breakdown we chanced a trip through Kruger (the wuffly engine was great for game viewing, rattly tdis & td5s scare the animals off) and Swaziland - whole trip I never had to fix anything, don't think I ever had that with a defender 😏 but did miss a bit of tool time. 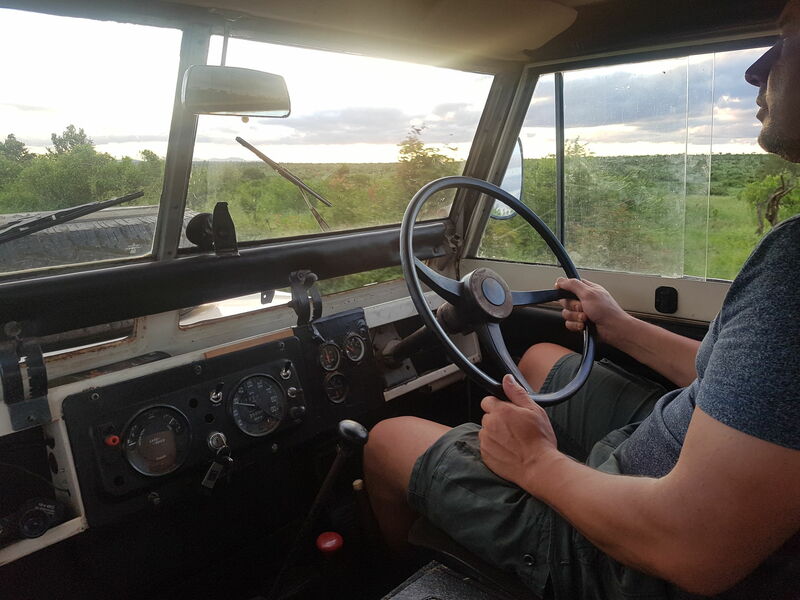 Great journey and great to reconnect with some of those early landy features. Oh.... That is very nice !!! Please - more pictures and write up. She's lovely! Exactly the spec as my late 2a that's in pieces fixing the lack of love it was given for the past twenty years. Great to see a leafer stretching it's legs properly, especially a six pot. As Arjan says: more pics and write up please! What's going on with the front of the roof? Is that a hatch or sunroof or something? Thanks all - yes it turned out to be a lucky buy - sold by the family after the owner died and I reckon he must have had that thing for many years, maybe from new and really looked after it. Parabolic springs, freewheeling hubs - gearbox is faultless, even has a long range fuel tank. So the plan was for a quick mini overhaul, take plenty of tools and bits and do a mini rolling resto while cruising about the coast. The rad was finless and water pump squeaked so they were changed (was over 42 degrees while we were there, no chances taken..). Brakes were non-existent, but just needed adjusters setting properly - no servo fitted but not too bad with a hefty shove. A set of plugs and resoldering a bad joint on the points wire got the engine purring. The only major issue was someones terrible attempt at replacing the wiring loom - they tend to go very brittle and crack up with the heat there. The loom was made mostly with speaker wire, including the headlamp wiring! Luckily the loom is quite small on a 2a anyway and we got away with just replacing the headlamp wiring with heavier cable. The climate has been good to it, so the chassis is tip-top, bulkhead needs a little work on the top corners, doors look to be real nice bar a couple of bits of local rust and needing new window channel. Amazed at how straight the panels are - there's a small bit of filler in one rear corner panel, other than that it's got barely a ding. A few bits to do to get it 'right' - bit of wander in the steering, perspex window in the tailgate, need to dump the toyota seats. Not sure what's happened to the safari roof skin but presume its been driven into a low tree branch and tidied up. 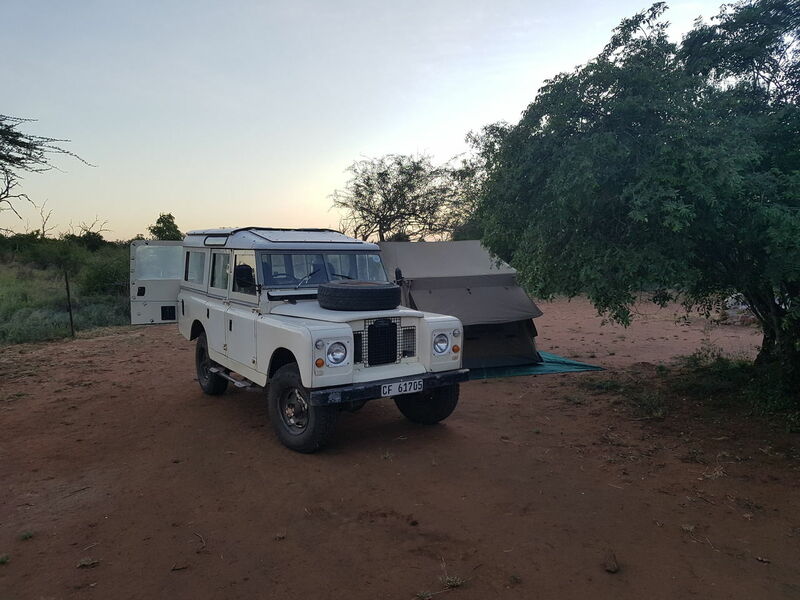 The other nice thing was we had a go at dumping all the overland gear and travelling super light - tent, foam, tiny table, plate/cup/spoon, torch, couple of chairs. Did take a fridge -not having hot beer no way no how, but no extra battery or split charge etc. Worked out great - turns out a tin mug can be used for tea, wine, cocktails, as a hammer, cooking beans and mixing bbq sauce. Unfortunately the plan was to use it for a few weeks then sell it on 😬 I'm not allowed any more cars 😭 Think I may need a cunning plan..
Cunning plan: Drive it back to Blighty! If you're doing the electrics it's worth getting a fuse into the main loom for the lights as mine caught fire - the old glass fuses can't handle the amps so LR just don't fuse it! My Dad had one on an L plate (1972/3) a S3, which looked just like that, it brings back memories.......... mind you I don't ever remember getting 22mpg, partly because it was either loaded to the gunnels with tools and equipment or towing a few tons, but the engine was sweet, and quiet ....especially compared to the diesel it replaced. What a find! I see it has the deep sill trim on it too which could mean it's an 'early' late IIA , is it a low chassis number ? Wow - I echo everyone’s comments: that is a beautiful thing! She needs to be kept safe, used & looked after !! I may be biased but 109" CSW Safari are of course the best LR ever built and that's a fact! You aren't entirely right, but it is up there in the top 3 along with a series 1 rag top and a lightweight. and a 101 gs must be close. But that might just be me, I like vehicles that look like boxes that you move stuff in. No, not just you.... A 101 would be a nice toy, I mean tool. It was built in SA at the old Port Elizabeth factory (the front grille badge is cool, has Port Elizabeth rather than Solihull on the casting) - they used thier own chassis numbers but on the paperwork its registered as a 1970 though could easily be 1969 also. I like this even more now, how can you possibly sell it? That's a lovely detail with the badge , I'm sure a viable plan to keep it in the family will materialize . The deep sills are probably left-overs from the early IIA fed into ROW / CKD markets . It is nice to hear you talk of the tractability of the 6 too , torque from 300rpm , such a great traction power unit . I've had a few of those Rover sixes in various saloons. They really are my favourite motors but must make that Series 2 nose heavy! The only Land Rover version I had sat on my shed floor for years, then got buried there when I moved house. Sacrilege. 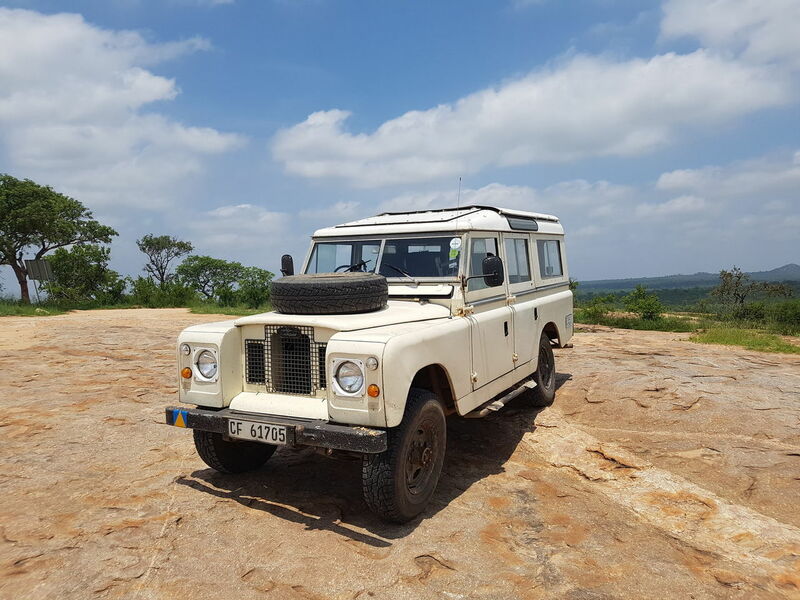 Reminds me of my 1959 series 2 109 safari in my avatar which took 4 of us from UK to South Africa in 1990. The trip took around 7 months. Photo taken in the Sahara in Algeria. 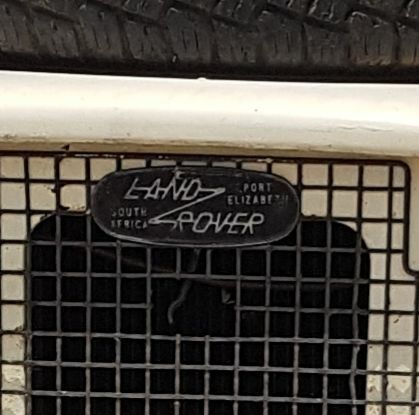 My favourite Land Rover! You have to find a way to keep yours! I wish I still had mine! Regards, Diff.